GO HAWKS! Show off your 12 pride all around town with this adorable multi-purpose bag. Great for everyday use and it is sure to be a conversation starter no matter where you go. 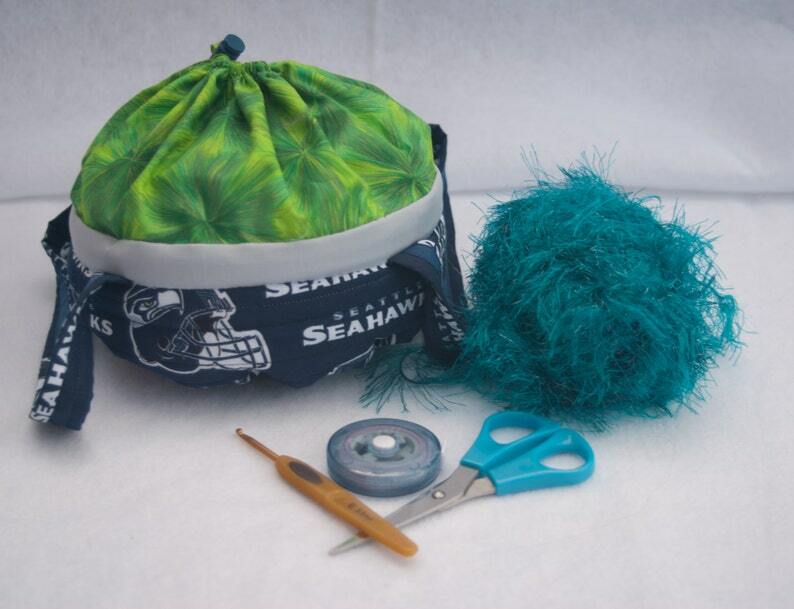 Also makes a great project bag for your knitting and crochet adventures. Perfect for the one skein projects to keep you on-the-go! All accessories/yarn are showed for illustrative purposes only and will not be shipped with purchase.